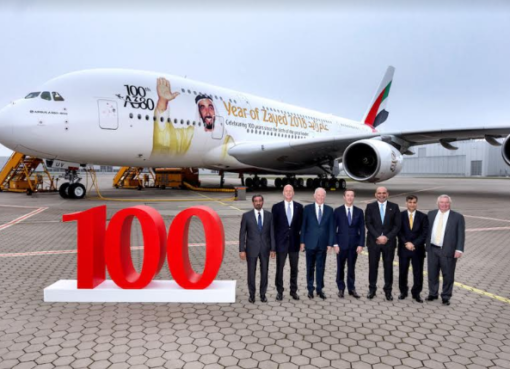 Upgrading the aircraft type to the double-decker A380 on its daily non-stop service connecting Dubai and Auckland was one of the key reasons for a successful first year on the route, the world’s longest A380 flight, says Emirates. Emirates today (1 March) celebrated 12 months on the non-stop route, flown firstly with a 266-seat Boeing 777-200LR and then, since 30 October last year, with the A380, providing up to 491 seats. The upper deck on the A380s features 14 first class suites and 76 business class pods, as well as shower spas up front and an Onboard Lounge at the rear. The airline says the Boeing 777-200LR was an ideal aircraft to start with on the route and it has been able to build on that successful launch period with the upgrade in capacity provided by its flagship A380s. The versatility and popularity of the A380 has led to the expansion of the aircraft’s destinations, which now number 44 and which will include Sao Paulo in Brazil and Casablanca in Morocco from late March. The A380’s introduction on the Dubai-Auckland non-stop flight last October after only eight months’ of Boeing 777 operation at very high load factors, was a very successful move for Emirates, especially as it can now offer A380 service all the way between a number of destinations in Europe and New Zealand with only one stop, at the airline’s Dubai hub, and a simple six- to seven-hour journey beyond. In addition, from a customer’s point of view Emirates has been able to offer a total consistency of product on its New Zealand routes, with A380s also on its three daily services to Auckland and daily flight to Christchurch via Australia from Dubai and beyond. 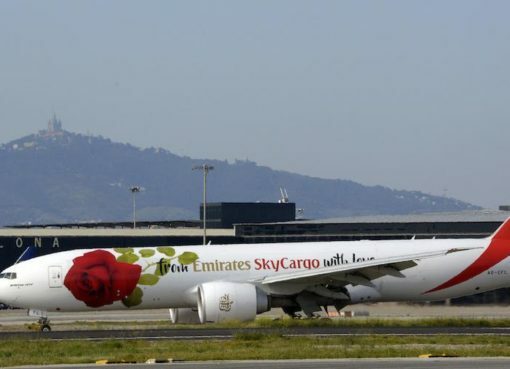 In its first year of operation on the non-stop route between Auckland and Dubai, Emirates enjoyed an overall load factor of more than 80%. The average flight time northbound has been 16 hours 57 minutes and southbound the duration (usually with tail winds) has been 15 hours 38 minutes; somewhat better than scheduled flight times. This has given passengers the opportunity to watch several full-length films, such as the Lord of the Rings trilogy, topped up with a popular television series box set or two and music choices from across the decades. Over the past year, more than 210,000 meals have been provided in-flight on the non-stop route. London (Heathrow and Gatwick), Manchester and Birmingham in the UK; Paris, Rome, Milan, Amsterdam, Frankfurt, Munich, Madrid, Barcelona; and other popular cities such as Moscow, Zurich, Prague, Vienna, and Copenhagen. Travellers can depart UK-Europe through one airport and return to another. 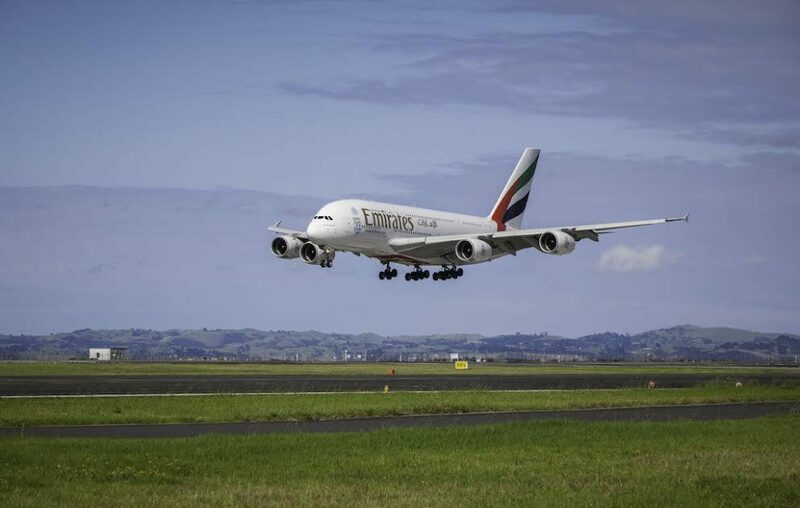 Emirates has been strongly supporting New Zealand’s tourism industry, in 2016 carrying more than 1.1 million passengers to and from New Zealand in a year in which the nation’s export earnings from tourism reached a record NZ$10.1 billion (US$7.26 billion). All of Emirates’ services to New Zealand offer First Class private suites, lie-flat seats in Business Class and comfortable Economy Class seating. Several courses of gourmet foods and award-winning wines are complimentary on all flights to and from New Zealand. Free wifi is also available in all three cabins, as is Emirates’ famous ice inflight information, communication and entertainment system, offering more than 2500 channels in widescreen digital format. Emirates has generous free baggage allowances – up to 35kg for Economy Class passengers, 40kg for Business Class and 50kg for First Class.